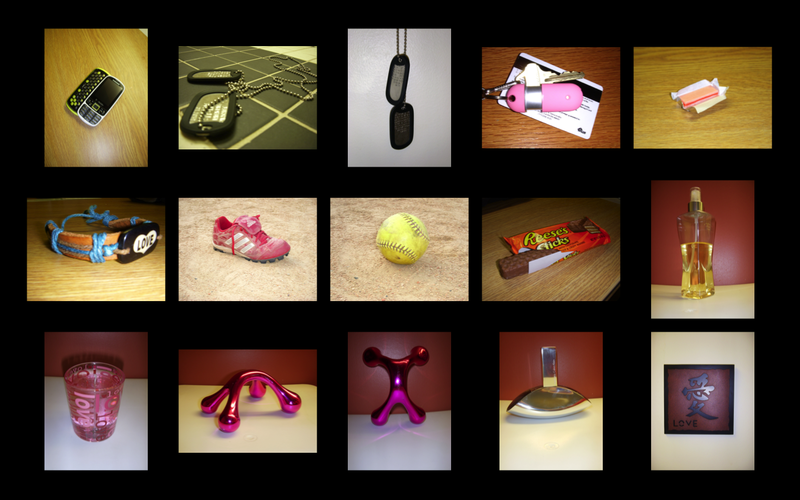 Craft: The tools used to create this image are my military identification tags (dog tags), the tile floor in my dorm room, and my roommates Nikon camera. Concept: What I was going for with this photo was to create and image that I would be able you crop and cut around in Adobe Photoshop, which instead I will not do because I like this photo just the way it is. 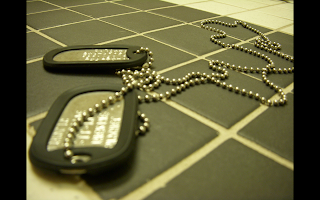 I wanted a more artistic shot of my dog tags, so this is why the identification pieces are closer and the actual necklace is further off in the image. I wanted more depth in my photo instead of a straight on snap shot. Composition: As stated in the 'craft' section, this image is composed of my tile floor and dog tags. 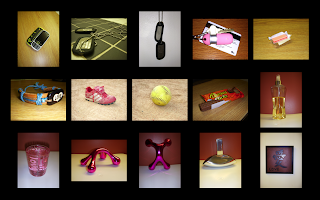 The position of the tags was not a long and grueling process, I just walked into the room, dropped them, and positioned the camera to where I thought looked best. The reason I took the picture on the floor instead of in front of a flag or some other sort of patriotic symbol is because i wanted more of an emotional sad feeling with this image, as opposed to a emotional pride/patriotic feeling.